Join us and party like it’s the 1910s again! 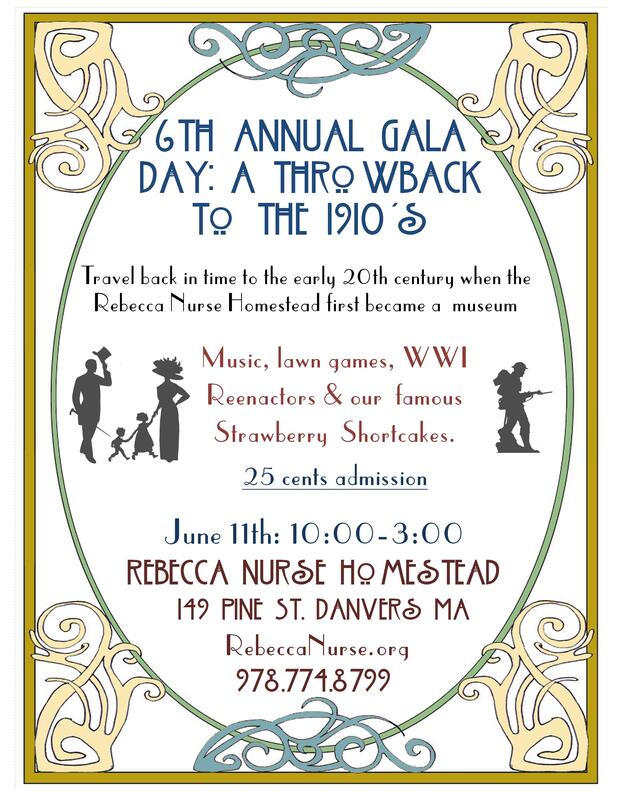 In the early 20th century when The Rebecca Nurse Homestead became a Museum they hosted a Gala Day & Garden Party Bazaar, and we are taking yo u back in time to experience that event. We will also be serving a limited amount of our famous Strawberry Shortcakes we used to serve at our Strawberry Festival years ago! 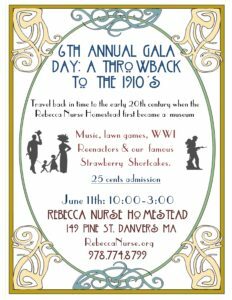 Listen to Edwardian music, play period -style games, meet people dress in Edwardian clothing, see the sites and exhibits for the original admission price of only 25 cents! We will also have some World War 1 reenactors attending who will be commemorating the entrance of the United States into WWI in 1917.